When a tool maker designs a drill she does not expect it to also be useful as a hammer or a torch. You might be able to use it as either at a pinch but it would not be very effective. If you want a universal tool that can do lots of different things you need to design it with those things in mind from the start and the result may be just as complex as a box of individual tools. The strangest thing is that this is not the case with mathematical tools. A concept or method used to solve one mathematical problem often turns out to be just as useful in solving others that are completely different and seemingly unrelated. To give a simple example, the number pi was first defined to quantify the ratio of the circumference to diameter of a circle, yet it appears in a whole host of mathematical and physical equations that have nothing to do with circles. The same is true for a few other special numbers such as e, the base of the natural logarithms. Why do the same few numbers keep coming up in mathematics instead of different ones for every problem? Other examples abound. Special functions, groups, algorithms and many more mathematical structures prove useful over and over again. Why does mathematics have this natural universality? People who don’t know mathematics well think that mathematicians invent the methods they use in the same way that people invent stories or fashions. Most mathematicians say that this is not the case. Their experience of developing new mathematics feels more like a process of discovery rather than invention. It is as if the mathematical structures were already there before any human was aware of them. You can also invent mathematical structures like the game of chess, but chess is not regarded as important in mathematics because it is not useful for solving unrelated problems. It does not have universality and it is this universality that distinguishes the interesting mathematics from the uninteresting. Why then is such universality so easy to find in mathematics without trying to look for it? Why does it even extend into physics where deep mathematical ideas originally used to solve problems in pure mathematics turn out to be important for understanding the laws of nature (complex numbers, differential geometry, topology, group theory etc.) ? It is even more surprising to pure mathematicians when theory developed by physicists turns to be useful in mathematics, yet even string theory has already proved useful for solving a whole host of mathematical problems that seemed otherwise intractable. It remains a huge and deep mystery why this happens. 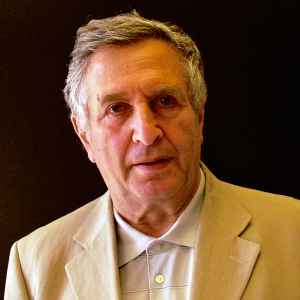 Yesterday the Abel committee in Norway announced that it was awarding its annual prize of 6 million Kroner to Yakov Sinai for his fundamental contributions to dynamical systems, ergodic theory, and mathematical physics. Sinai’s work covers complex dynamical non-linear systems with many variables. Naively our prior expectation for such systems would be that they are going to behave in complex unpredictable ways and the only thing they are likely to have in common is going to be randomness, but that is not what happens. Systems in statistical physics have entropy and temperature. These are macroscopic emergent quantities that follow derived laws which are common to different systems irrespective of the microscopic description of the dynamics. They have phase transitions and near these transitions you get critical phenomena that obey universal laws. Sinai looked in particular at chaotic systems of non-linear dynamical equations where more universal emergent behavior is found and described in terms of certain Feigenbaum constants. Another area he worked in was algorithmic complexity of binary sequences and dynamical systems. All this work is highly applicable to practical problems but it is also important as a tool for understanding universality and why it arises. Perhaps one day by building on the work of Sinai we will learn much more about the unity of mathematics, the laws of physics and why these things are so beautifully connected by universality. Congratulations to Yokov Sinai for this well deserved award which will raise the profile of such important work. Update (22-Mar-2014): After a few days we can see where this voting is going so thanks to all those who voted so far. The Guardian has now also discussed the same question and made the point that the Nobel committee will have a hard choice, but you will see that they have not identified all the candidates that we have here. Some people have responded by saying that we should not be thinking instantly about who should win a Nobel yet because it is too soon. I disagree with that. The story about who are the main people behind this discovery is of immediate interest and by focusing on the possibility of Nobel prizes I think we highlight the human side of the discovery. It is true that we should be cautious about the uncertainty of the discovery until it has been confirmed but that does not stop us talking about the consequences, either scientifically or sociologically. There is a danger of being too negative and missing the opportunity to make some science and worthy scientists known to the wider public while their gaze falls fleetingly on upon physics and cosmology. So what do the poll results say? The first thing that stands out is that the theorists are getting the most votes, especially Linde, Guth, and Starobinsky. Linde has now rushed ahead of Guth because he suddenly got 50 extra votes. The theoretical bias is perhaps understandable because the media (including me) has said more about the theorists and they have been familiar to us for many years. Indeed Guth and Linde in particular have been tipped for the Nobel long before this discovery. The experimenters are new stars so they have a smaller fan club and get less votes, but the Nobel Committee may see it the other way round. If BICEP2 is confirmed by Planck then it will be clear that a Nobel worthy discovery has been made even if the theory behind it remains uncertain. When the prize was given for accelerating cosmic expansion the committee made it clear that the award was for the observation irrespective of how theorists interpreted it and they are likely to see this discovery the same way until it is clear that inflation is the correct explanation rather than the alternatives. I predict option 1 assuming confirmation, but any of the others are quite possible. Choosing the experimental prize is already difficult. There is an interesting story about how it was caltech postdoc Brian Keating who originated the idea for this experiment and then persuaded Jamie Bock to take it on. This would suggest that Keating and Bock are key candidates for the prize but Keating seems to have dropped out of the picture at some point so he does not get many votes. John Kovac has been promoted as the main leader of the experiment but Chao-Lin Kuo led the team that really made the instrument work and Clem Pryke’s team made crucial discoveries for the analysis. I find it painful to think that at least one of these people will have to be left out but that is the way the Nobel works. If I am forced to make a prediction at this stage I would go with the voting so far and say it will be Kovac and Bock who take the honour on behalf of the BICEP2 team while Uros Seljak would make a fitting third laureate for his seminal work on B-modes that made the experiment possible. On the theory side that I already covered there are three classes of theoretical work on inflation that could eventually be rewarded. There is the initial realisation that inflation may be a feature of cosmology and could solve certain problems (flatness, horizon, monopole etc) Guth, Starobinsky, Kazanas and Sato are independently responsible for this idea. Then there are the people who made crucial predictions of gravitational waves and anisotropies in the microwave background. The ones who got there first are Starobinsky, Einhorn and Mukhanov. The committee favours such predictions for obvious good reasons so any of these people could be up for the prize. Finally we have those who have worked on specific models including Linde, Albrecht and Steinhardt. The problem for these people is that no particular model for inflation has been shown to work yet. It is possible that that work has not yet been completed or that a more recent specific model will be shown to be right. However Linde is such a big figure in the field of inflationary cosmology who has been tipped for the Nobel for years already that I think the weight of nominations will be in his favour and if that is the case then he is surely deserving enough. In my opinion the destination of the theory component of the prize is not yet determined even if the experimental discovery is confirmed and will depend on work that is still to come otherwise I would expect it to go to Guth, Linde and Starobinsky as indicated by the voting. Update 27-03-2014: see the comments for information about Erast Gliner who published an inflation theory in 1965. I have added his name to the poll but too late. This is Nobel week and prize handouts start today with Medicine. Tomorrow is Physics, and Chemistry is on Wednesday. All others are political prizes of no interest here. The physics prize should be awarded for the Higgs Boson and most likely Higgs himself and Englert will get it, but a third share may go to some other wildcard person or organisation. This will be decided by a vote at TRF but I can also remind you that a similar vote has been running for some time on viXra which has already been used to elect two winners of the much larger Fundamental Physics Prize. Update 8-Oct-2013: Congratulations to James E. Rothman, Randy W. Schekman and Thomas C. Südhof who won the Physiology or Medicine prize “for their discoveries of machinery regulating vesicle traffic, a major transport system in our cells”. Today will be the turn of the physics prize and it this point it may be worth hedging bets by noting that this might not even be given for the Higgs. Each year the Nobel committee has a big pile of worthy nominations and they may just decide that one of them fits better. However the chances for Higgs seem slightly better than even. Some people are suggesting that the third share for the Higgs could go to CERN. The committee have hinted that an organisation is not ruled out even though they have never used that option before, but I think CERN would be a mistake. This is because many people in the CMS and ATLAS collaborations are not strictly speaking part of CERN. You could justify that CERN played a deserving role but to then leave out the physicists who actually made the discovery would be a new kind of mistake for the Nobel committee to make. Lumping CMS and ATLAS together as one also seems a bit forced but they could give it to Higgs, CMS and ATLAS leaving out Englert. That is more like the kind of mistake they have made before. I favour the option of reserving the prize for the theorists. If they start giving it to big organisations then they will also have to look at many other big collaborations in the future and they probably dont want to set a precedent that could radically change the nature of the award. Fifth FQXi Essay Contest: It From Bit, or Bit From It? The Fifth essay contest from the Foundational Questions Institute is now underway. The topic is about whether information is more fundamental than material objects. The subject is similar to the contest from two years ago but with a different slant. In fact one of the winning essays by Julian Barbour was called “Bit From It”. Perhaps he could resubmit the same one. The topic also matches the FQXi large grant awards for this year on the physics of information. Sadly I have already been told, unsurprisingly, that my grant application fell at the first hurdle but the essay contest provides an alternative (less lucrative) chance to write on this subject. Last year I did not get in the final but that really doesn’t matter. The important thing is to give your ideas an airing and discuss them with others, honestly. In last year’s FQXi contest 50 essays were submitted by viXra authors. With the number of viXra authors increasing rapidly I hope that we will increase that figure this year. There has been a change in the rules to try to encourage more of FQXi’s own members to take part and improve the voting. Members will automatically get through to the final if they vote for 5 essays and leave comments. Last year there were about 15 FQXi member essays in the competition and if I am not mistaken only two failed to make the final, so it will not affect the placings much, but it should encourage the professional entrants to enter into the discussions and community rating which cannot be a bad thing. For many of the independent authors who submit their work to viXra, getting feedback on their ideas is very hard. The FQXi contest is one way that can get people to comment, so get writing. We have until June to make our entries. Please note that FQXi is not connected to viXra in any way. The Abel prize in mathematics for 2013 has been awarded to Pierre Deligne for his work on algebraic geometry which has been applied to number theory and representation theory. This is research that is at the heart of some of the most exciting mathematics of our time with deep implications that could extend out from pure mathematics to physics. Deligne is from Belgium and works at IAS Princeton. I obviously can’t beat the commentary from Tim Gowers who once again spoke at the announcement about what the achievement means, so see his blog if you are interested in what it is all about. Update: Also today the fundamental Physics Prize went to Polyakov, another worthy choice. Update: Some bloggers such as Strassler and Woit seem uncertain this morning about whether Polyakov got the prize. He did. They played a strange trick on the audience watching the live webcast from CERN by running a 20 minute film just before the final award. They did not have broadcast rights for the film so they had to stop the webcast. After that the webcast resumed but you had to refresh your browser at the right moment to get it back. The final award to Polyakov was immediately after the film so many people would have missed it. I saw most of it and can confirm that Polyakov was the only one who finished the night with two balls (so to speak). To make matters worse there does not seem to have been a press announcement yet so it is not being reported in mainstream news, but that will surely change this morning. As bloggers we are grateful to Milner for this chance to be ahead of the MSM again. I would have done a screen grab to get a picture of Polyakov but CERN have recently changed their copyright terms so that we cannot show images from CERN without satisfying certain conditions. This contrasts sharply with US government rules which ensure that any images or video taken from US research organisations are public domain without conditions. Congratulations to the winners of the FQXi essay contest “Questioning the Foundations” . The results show an impressive and diverse range of ideas about common assumptions that need to be questioned to progress with foundational physics. This was the fourth contest of its type run by the FQXi institute. These provide a unique opportunity for professional and independent physicists to cross words in a public forum about this kind of subject. I know there will always be criticisms of the results and the imperfect voting system but the contest is still a very worthy exercise. This year there were 272 entries, significantly more than previous contests so the top 36 from the community voting who made the final cut should be extra proud of their success, even if they were not among the final winners. This year I narrowly missed out of joining them but there were many other good essays that did not make it either so there is no need to feel out of it. Taking part and having a chance to air our views on physics is much more important than winning. One last word of congratulations goes to the Perimeter Institute since the vast majority of the winners had strong connections with the centre, such as being past or present researchers there. The Perimeter Institute is well-known for its research on foundational issues so their success here is not surprising. They should also be applauded for their culture which seems to encourage taking part when many professional scientists from other centres are too shy to try it. 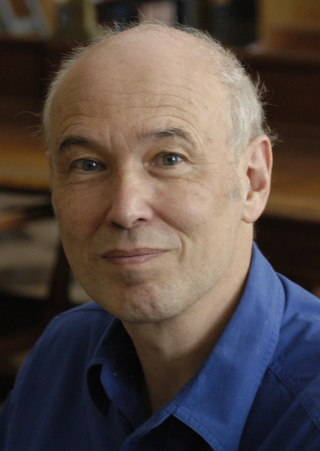 The winning essay entitled “The paradigm of kinematics and dynamics must yield to causal structure” was written by Perimeter Institute theorist Robert Spekkens. The idea of questioning the separation of kinematics and dynamics is very original. I never thought of it in this context myself even though I had previously made a similar point in a physics.stackexchange answer about a year ago. Spekkans goes on to link this to causality and the use of POSETs (Partially ordered sets) in models of fundamental physics. This aspect of his essay is a perfect example of what my essay on causality is against. In my view the concept of temporal causality (every effect has a cause preceding in time) is not fundamental at all. It is linked to the arrow of time which emerges as an aspect of thermodynamics. It is not written into the laws of physics which as we know them are perfectly symmetrical under time reversal (or more precisely CPT inversion). I therefore question why it needs to be used in approaches to understanding the fundamental laws of physics. My point did not go down well with other contestants and Spekkens was not the only prize winner who advocated the importance of causality as something to preserve while throwing out other assumptions. Of course this just makes me more pleased that I choose this point to make, winning is not what matters. Aside from that there is something else about the contest that is of special interest on this blog. According to my count exactly 50 out of the 295 authors (17%) who wrote essays have also submitted papers to the viXra archive. The number who have submitted papers to the arXiv is 95 (32%). This provides a rare opportunity to do a comparative statistical analysis on range of quality of papers submitted to these repositories. By the way 11 of the authors can be found in both arXiv and viXra (including myself), leaving 161 authors (54%) who have not used either. The authors who use arXiv are mostly professional physicists because the endorsement system used by Cornell to filter arXiv submissions makes it difficult, but not impossible for most independent scientists to get approval, so we can conclude that about a third of the FQXi contest entrants are professionals. However I am more interested in what can be learnt about viXra authors. I started viXra in 2009 to help scientists who have been excluded from the arXiv, either because they do not know anyone who can act as their endorser or because the arXiv administrators have specifically excluded them. Many people at the time said that viXra would only support crackpots and this opinion persists in many places. When someone wrote an entry for viXra on Wikipedia some administrators actively campaigned (unsuccessfully) to have it deleted calling viXra a “crank magnet” and concluding that it had no scientific value. Last month the wave of censorship even reached Google who suddenly removed all viXra entries from Google Scholar. We only had about 3% of our hits coming from there so it was not such a great loss, but it leaves us with no way of tracking citations of viXra papers which is a great disservice. This development reflects the opinions of many professional scientists who have said that viXra at best provides no value to science and only serves to keep crackpots in one safe place. Some are even less charitable and believe that it only promotes bad research and is harmful to science. Are they right? When viXra was launched I said that it would also serve as an experiment to see if arXiv’s moderation policy was excluding some good science. Nobody should be surprised that there is a lot of bad quality research on viXra because it does not have any filtering and makes no claim to endorse its individual contents (personally I am of the opinion that even bad research can have value as a creative work and may even contain hidden gems of knowledge), but does it nevertheless have work of high value that would otherwise be lost? A recent paper by Lelk and Devine submitted to both arXiv and viXra tried to carry out a quantitative assessment of viXra in comparison to arXiv. It found that 15% pf articles on viXra were published in peer-reviewed journals (based on a very low sample). This may sound low but you should take into account that many independent scientists are less interested in journal publications because they do not need to produce a CV. In any case 15% of 4000 papers is a non-negligeable count if you do think this is a good measure of value. How else then can the value of viXra by assessed if the papers are not being rated via peer-review? One answer is to use the ratings of its authors as provided by the FQXi contest. Essays in the contest were rated using marks from the authors themselves. This is not a perfect system by any means. There were essays that were placed either much lower or much higher in the results than they deserved. Nevertheless, the overall ranking is statistically a good measure of the papers quality in the terms demanded by the contest rules, with mostly good papers ending up at the top and bad ones at the bottom. It can therefore be used to collectively analyse the range of ability of the authors using either arXiv or viXra. Let’s start with arXiv whose authors have been endorsed and moderated by its administrators. Given such filtering it is easy to predict that they should do well in the contest. Here is a graph of their placings counted in ten bins of about 29.5 authors. The lowest rated essays are in bin 1 on the left and the highest are in bin 10 on the right. As expected the majority of arXiv authors have made it into the top bins. 87 were ranked in the top half and only 17 in the lower half. How would you expect the distribution to look for viXra authors? If we are indeed all crackpots as many people suggest then the distribution would be the opposite with most authors doing badly and hardly any making the top bins that are dominated by the arXiv authors. Here is the actual result. In fact the distribution is essentially flat within the statistical error bars (not shown) and there are plenty of viXra authors who did well. In fact six viXra authors made the final cut. What should be concluded from this? If someone is identified to you as an author who submits papers to viXra how should you judge their status? Is it justified to assume that they must be a crank with no useful knowledge because they apparently can’t get their research into arXiv? The answer according to this analysis is that you should judge them the same way you would judge a typical author who has submitted an essay to the FQXi contest. They may not be good but they could be of a similar standard to the authors who submit papers to arXiv. I don’t suppose this will change the opinions of our critics but it should. Google are happy to index FQXi essays on Google Scholar so why should they refuse to index viXra papers? By the way, of all the essays that were written by viXra or arXiv authors, the one that got the lowest rating was an essay by a Cornell professor who has four papers on arXiv. I let you judge. 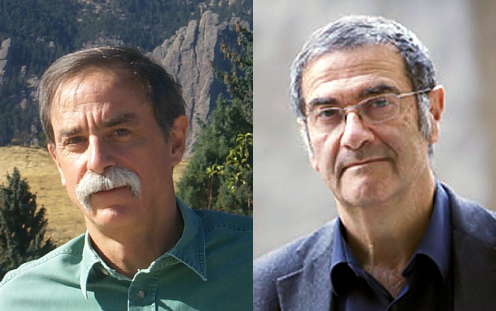 Serge Haroche and David Wineland have won the 2012 Nobel Prize in physics for their work on experimental quantum physics. Wineland from Colarado worked on ion traps while Haroche from Paris worked on captured photons. It is hoped that this work will have applications such as quantum computers. Ion traps have already been used to improve the accuracy of atomic clocks. This work was widely predicted as a possibility for the prize. After the announcement Haroche was questioned on the phone. He said that he had known that he won the prize when he got a call on his mobile while out walking. He knew it when he saw that the code on the incoming call was from Sweden. You are currently browsing the archives for the Prizes category.